On paved Bald Rock Road a rusted metal sign reads “Dome Trail 3” which is where the fun begins, on the dirt. 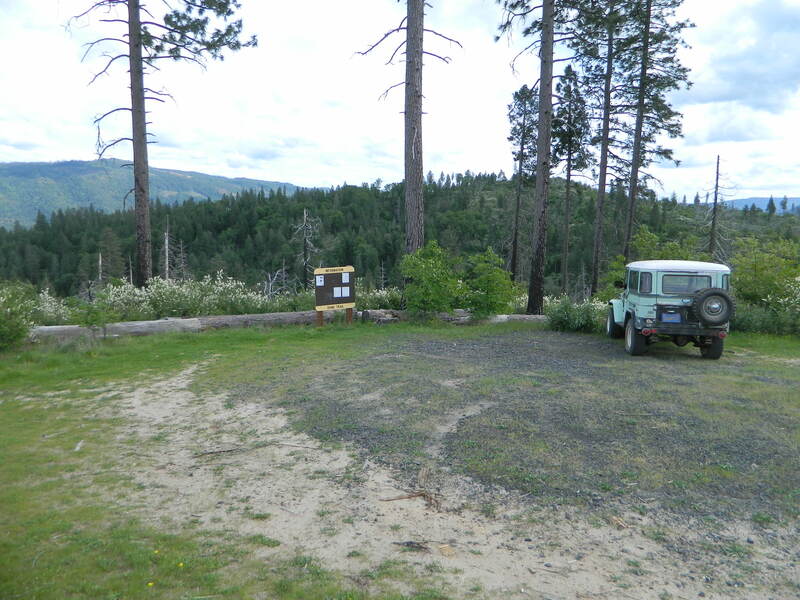 Plumas Forest Rd #21N51Y is located in the forested community of Berry Creek – opposite from Upper Zink Road. 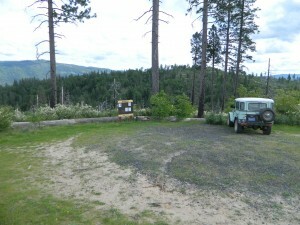 This becomes Bean Creek Rd #21N36: The forested route passes a few private properties and gates, the dirt road leads 3 miles down to an old wildfire (2008) burn area and eventually dead-ends at the Dome trailhead. 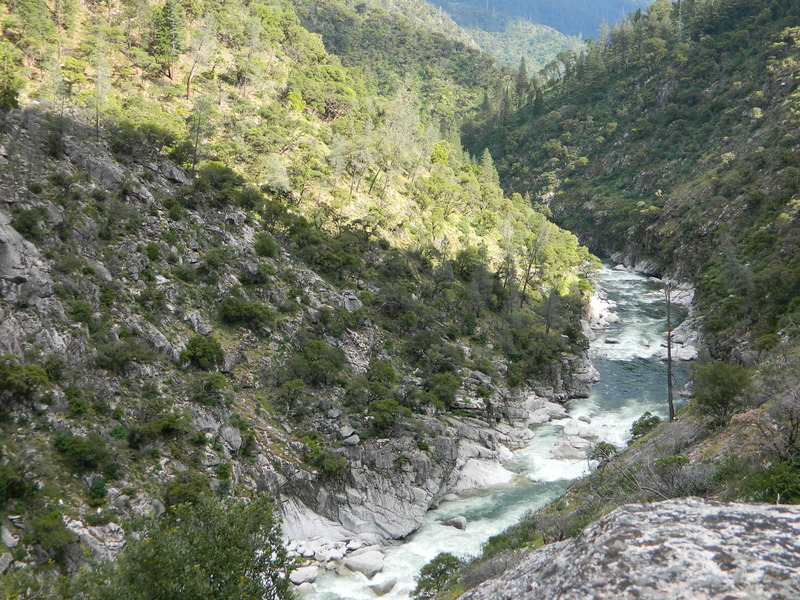 The hiking trail descends down while overlooking the Bald Rock Canyon with the Middle Fork of the Feather River. 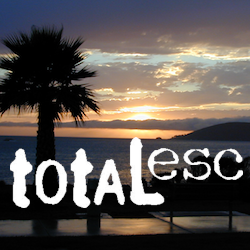 Rated as a moderately difficult hike: Steep hillsides, plenty switchbacks, downed trees across trail, boulder hopping, cliff edges, extreme heights and rock slides. 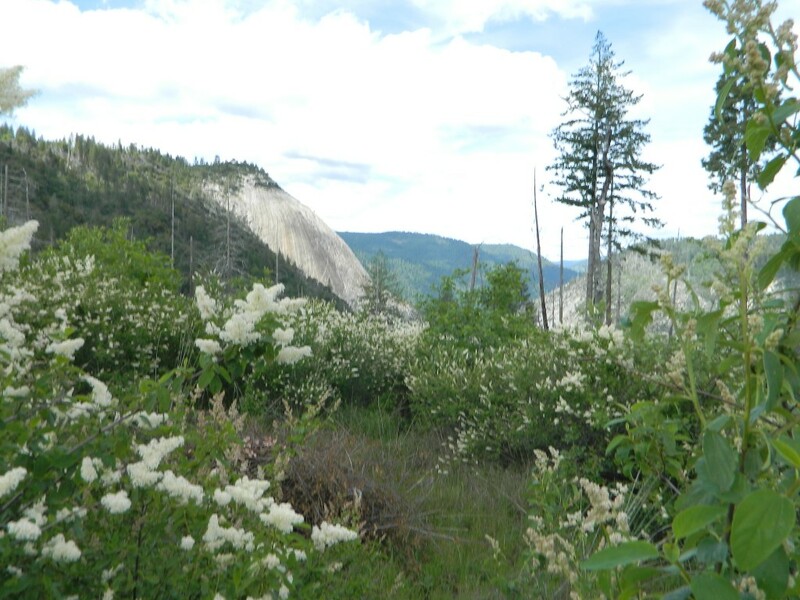 Delighted by dozens of wildflowers, the old metal staircase still in use, steel pipe railings and the minimal fencing and of course, the big river deep inside an impressive rock canyon. Sierra Nevada spectacular! Indian Creek spills down into Curtain Falls up the canyon, sometimes within view. Secluded Milsap Bar Campground is also up the river from here. The stretch of the whitewater river is popular with rafters and kayaks. Rock climbers gravitate to the big walls above. Bring a picnic lunch and water filter for this amazing all day hike. There are numerous granite domes and bald rocks within the Plumas National Forest, most located near the big river canyons. This particular granite dome is situated overlooking the Middle Fork of the Feather River, and it is called Bald Rock Dome w/ 3509′ elevation. Not to be confused with another shorter hike nearby on Bald Rock Road at a well marked trailhead for Bald Rock, which over looks the forest and valley to the westside. The official peak is named “Big Bald Rock” as listed on most maps.